Oysters can be prepared and eaten many ways: There's fried (think cornmeal-fried oysters with lemon-cayenne aïoli); smoked (smoked salmon-oyster tartare); baked (oysters Rockefeller and Bienville); as a soup (oyster and artichoke soup with basil pesto); and as stuffing (medallions of beef tenderloin stuffed with smoked oysters and oyster mushroom demi-glace). If the preceding paragraph has got you craving oysters, mark your calendar for November 15th, when Jeffrey Dunham, chef/owner of The Grove Grill, will prepare oysters in all these ways for a special dinner featuring Kevin Voisin from Motivatit Seafoods, an eighth-generation family-owned Louisiana seafood company. Motivatit's Gold Band oysters -- which Dunham serves at Grove Grill -- are a high-pressure processed (HPP) oyster. The patented process shucks an oyster without opening the shell. This, however, is just a nice "side effect" of the solution to a problem the Voisins have been trying to solve for a while. "We had been looking for a way to eliminate the dangerous bacteria in raw oysters for more than two decades," says Voisin. "We've tried a lot of things, but most of them affected the oyster's taste, texture, and shelf live adversely. Then we came across the high-pressure technology that was already used for other food products such as fruit juices." Motivatit's HPP Gold Band oyster does away with everything that might come between you and your oyster by keeping the oyster well-supported and moist in its shell. "The easiest way to explain this and to see it for yourself is by taking a 20-ounce water bottle and put a grape inside," Voisin says. "If you squeeze as hard as you can, you'll see that the grape won't be harmed because the water protects it and takes the pressure from your hands -- that's how the high-pressure process works on oysters." According to Voisin, the new process makes opening the shell so easy that it can be done with a butter knife. And while Motivatit still employs a shucker, the position should really be called "shaker," because the oyster occasionally needs a little extra help to be shaken out of the shell. This fairly new process makes some oyster connoisseurs cringe. For them, the prying open of the shell, the quest for an intact piece of meat free of sand or shell particles, and the threat of getting sick from the bacteria make eating oysters difficult, frustrating, and dangerous. So when all goes well, the reward is even sweeter. But Voisin doesn't think oysters need be challenging to be enjoyed. "What it comes down to is taste, and our oysters have won numerous taste awards because you won't find any grit that typically comes from shucking, especially on the raw oyster," he says. "You don't have to fear a chipped tooth from a tiny piece of shell that's still stuck on the flesh or any of the harmful bacteria." 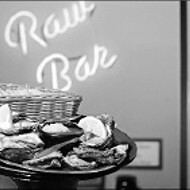 In addition to Grove Grill, Gold Band oysters are served at Jarrett's, Blue Fish, the Memphis Country Club, Joe's Crab Shack, Silky Sullivan's, and Jim's Place Grille. The Fresh Market can special order Gold Band oysters; minimum count is one dozen. However, they have to be pre-ordered a week in advance and typically cost a little more than twice as much as regular oysters. The Motivatit dinner is Wednesday, November 15th at 6:30 p.m. The cost for the six-course dinner, with wine pairing, is $65, plus tax and tip. Call Grove Grill to make reservations.